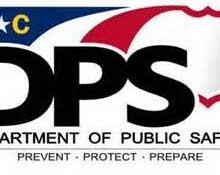 RALEIGH – The North Carolina State Highway Patrol will once again join 14 other states in an effort to reduce collisions along the I-95 corridor. Through support from the International Association of Chiefs of Police (IACP) and states along the eastern portion of the U.S., the Drive to Save Lives Campaign is intended to increase the visibility of law enforcement officers over a period of three days. Interstate 95 (I-95) is approximately 1,920 miles in length and is currently considered one of the deadliest highways in the country. On average it supports 72,000 vehicles per day of daily traffic (with peak daily traffic over 300,000 vehicles) and it has over 10,000 vehicles for its average daily truck traffic (with peak daily truck traffic being over 31,000), per the I-95 Corridor Coalition. The campaign will begin on Friday, April 5th and conclude Sunday, April 7th. 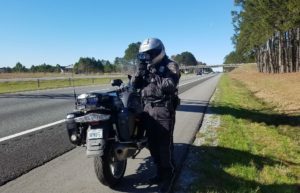 Troopers from every state along I-95 will be out in full force, in hopes of reducing the number of fatal collisions to zero.